Despite what they say, it’s understood what the left really desires. They do in fact want to confiscate our guns. David Hogg, the new fresh face of fascism, even said so. “Yeah, exactly. 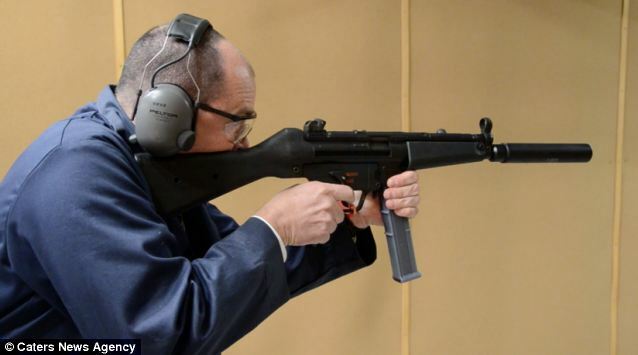 It’s one of the loopholes, and we have to address those – a ban on high-capacity magazines and an assault weapons ban,” Hogg declared. So he doesn’t want to ban them all – just the scary ones – to start. First, I apologize, but I had almost immediate technical difficulties, so the podcast, after the opening, is in audio only. Such is life. In this podcast, I give conservatives and gun rights advocates a little additional ammunition (pardon the pun) to combat the left’s soundbite arguments for confiscating our guns (which is truly what they desire), as well as an explanation of both the amendment process of the Constitution and the Second Amendment itself. Many Americans suffer from a common phobia. No, it’s not the very reasonable fear of Democrats running the country. That’s not a phobia, for its not irrational. No, they suffer from an irrational fear of guns. Guns are not inherently scary. They are just a tool – like a screwdriver or a leaf-blower. You’ve heard the saying, the right tool for the right job. You wouldn’t use a gun to blow the leaves around your yard and thus you wouldn’t use a leaf blower to defend yourself. You could try, but I’ll bet it won’t go well. Yet over the years more and more citizens have been purposely conditioned to think guns are scary. Thus the “Gun Free Zone” was established. These days there are more and more “gun free zones” than ever. Bet you won’t hear that fun fact from the anti-gun lobby. We hear that restaurants like Starbucks, Chipotle and Panera Bread and chain stores like Target have become gun free zones. Yes, Target allows men and little girls in the same dressing area, but won’t allow guns. Ask a mother or father which is scarier – a law abiding person with a gun, or a creepy old man watching their daughter undress. You don’t get much more left than NBC/Comcast. This is virtually the only cable company in America that has refused to add The Blaze TV to its cable lineup. Sure, it was one of the first to add al-Jazeera America, or some might know it as Jihadi-TV. They’ll jump at that chance – but Glenn Beck? Never. 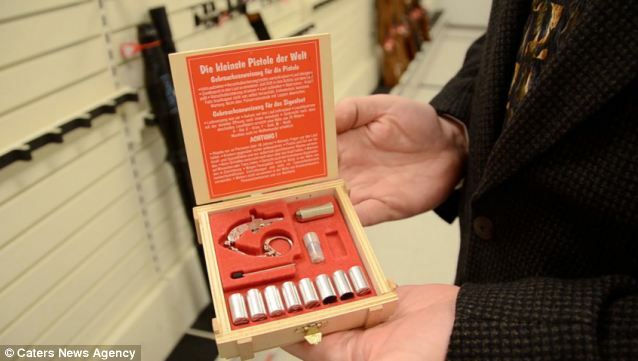 The gift of a gun may be high on many Floridians’ holiday shopping lists. 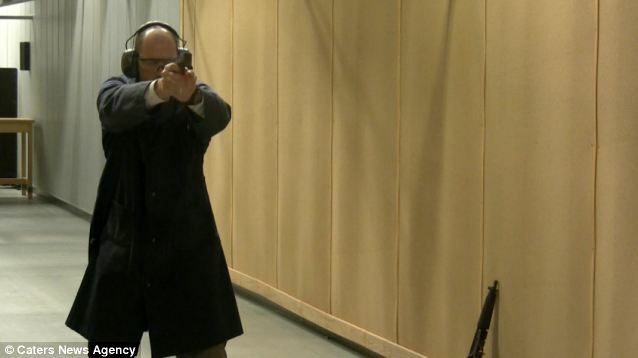 The Florida Department of Law Enforcement says it is on target to conduct nearly 1 million background checks this year on private firearm purchases. The projection comes as the department is reporting a record number of reviews conducted over the Thanksgiving weekend that typically kicks off the year-end holiday shopping season. We have definitely seen an increase in the number of background checks over the past several years,” FDLE spokeswoman Samantha Andrews said Monday. 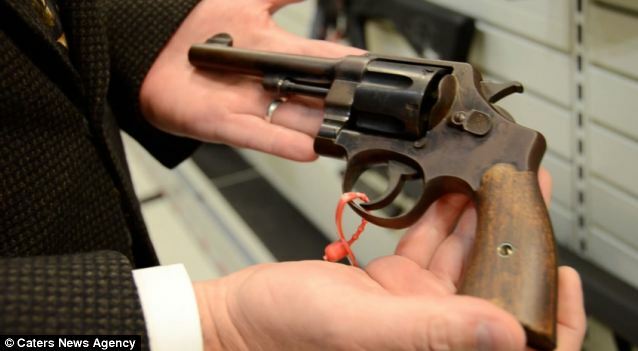 From notorious bank robber John Dillinger’s prohibition-era revolver to an arsenal of weapons owned by Ma Barker and her gang, the FBI’s cache of firearms holds almost every gun ever made. These fascinating photos give a rare insight into the Bureau’s 80-year-old collection which is kept at the FBI laboratory in Virginia. 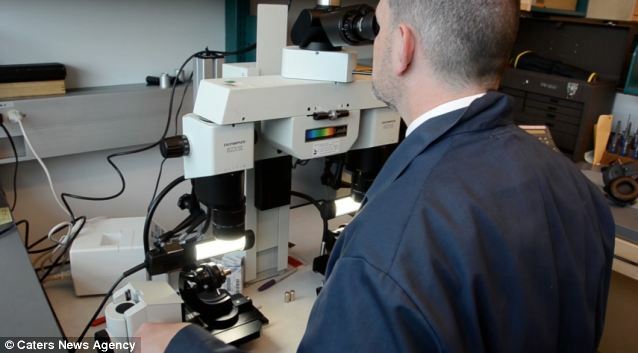 With an inventory of more than 7,000 weapons, the endless racks of guns provide a reference point for the laboratory’s firearms examiners to support criminal investigations. 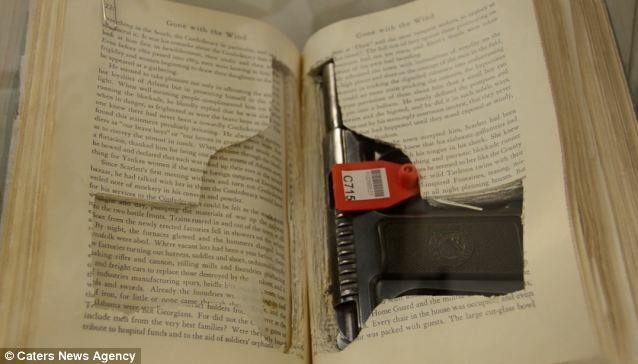 Among the more unique items in the collection are an old Thompson submachine gun hidden in a guitar case and a pistol hidden in cut out pages of a rare first edition of Gone With The Wind by Margaret Mitchell. 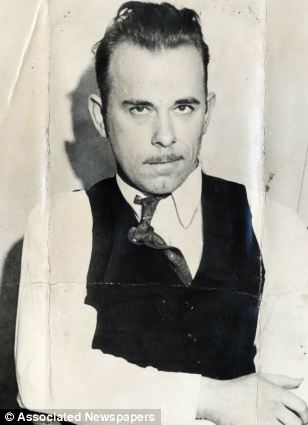 Notorious depression-era bank robber John Dillinger’s .45 calibre and raider ‘Pretty Boy’ Floyd’s Colt 1911 are held in the vault. The unique collection includes accessories like silencers and muzzle attachments as well as more heavy duty weapons such as grenades and rocket launchers. 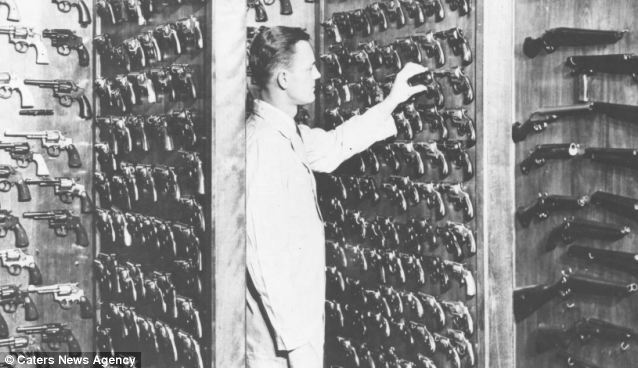 A file of more than 15,000 types of ammunition are also kept on file. 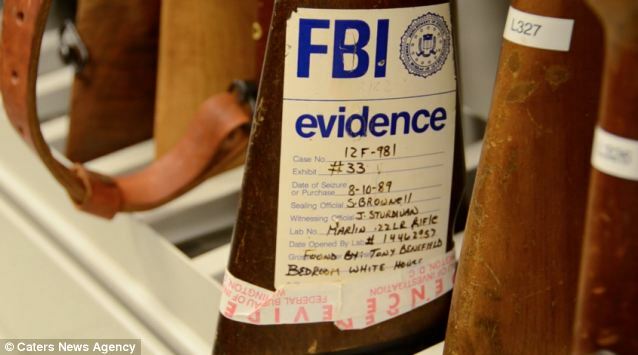 John Webb, a firearms examiner for the FBI, said: ‘This collection is used in active cases in comparing known samples from our collection with question samples from the field. ‘Often, an investigator will receive a part of a firearm or a firearm that isn’t functional. Most of the staggering collection of firearms comes from closed investigations, others have been bought by the FBI and some even arrive as donations. 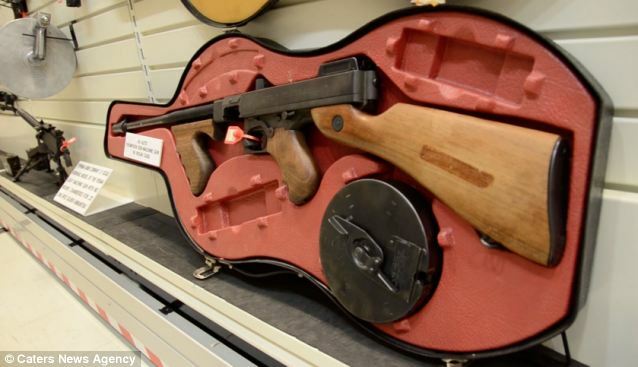 In most instances, the guns are held as evidence in court before being sent back to the lab where experts can either add them to the reference collection or destroy them completely. 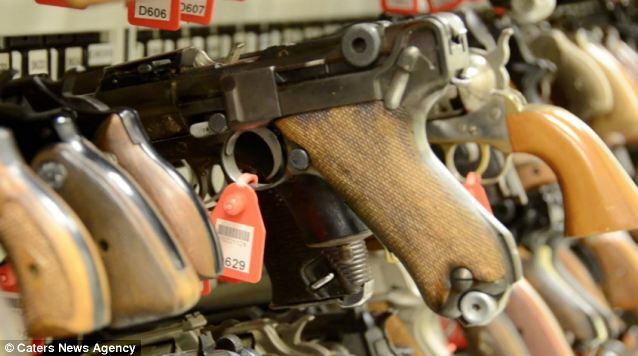 The FBI aims to duplicate every firearm in existence with the belief that sometimes a case could hinge on linking a firearm component to a similar part on one of their reference guns. 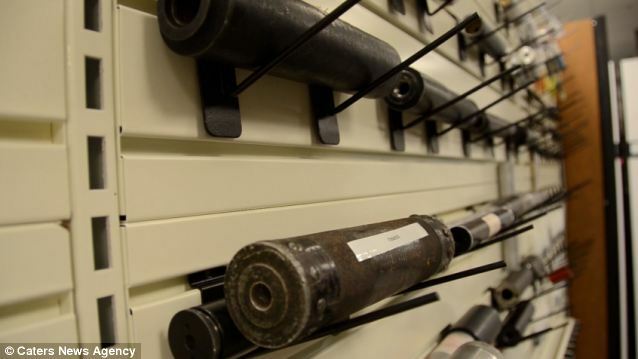 John added: ‘The collection has been extremely useful in criminal cases. 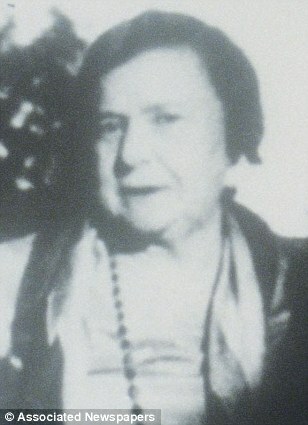 It has been directly responsible for assisting to solve crimes. The other day, we brought you a story about an Oregon military vet who took Joe Biden’s warning shot advice and ended up being charged with Unlawful Use of a Weapon, Menacing and Reckless Endangering. His AR-15 was confiscated as a result, and it won’t be returned unless the judge finds him not guilty. This is the lesson our children are being taught. Guns are scary, dangerous and should be shunned and vilified no matter the circumstance. This apparently is the mark of an enlightened society. The sad part is that this lesson is not only being taught to our children but has been promoted for years, so the children’s parents believe the same nonsense. Evidence the recent incident in Palmer Massachusetts. 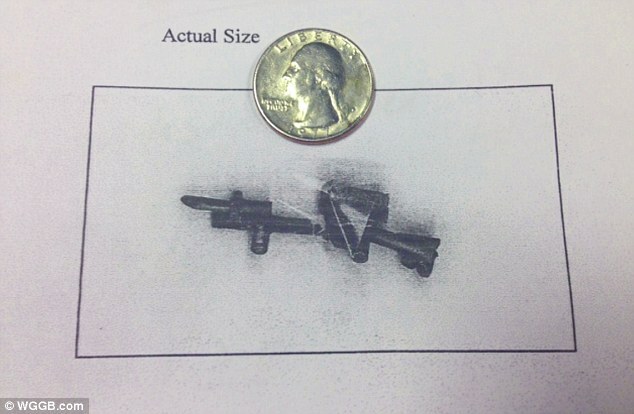 A six-year-old boy brought a Lego gun, no larger than a quarter onto a public school bus. Yes, a kindergartner. The report I read said that he was “brandishing” it. Say hello to my really little friend, I guess. It was reported the bus driver said that he (the six-year-old) caused quite a disturbance and the children were traumatized. Traumatized?! Are you kidding me?! Now, I’m right next door to Massachusetts so I understand the liberal wackiness of the state, but this is surreal. The report continued by describing the “aftermath” of the incident. Again, really? Aftermath? The school forced (maybe at gunpoint? kidding) the little kid to write a letter of apology to the bus driver. The school then sent a letter home to all the uptight liberal parents of the “traumatized” children explaining there was no real gun on board. The kid’s mom said her son knows that firearms are dangerous and have no place in school. Especially when a mass murderer comes calling and there’s no way to defend yourself or the children (my words, not hers). And let me add… Firearm? It could have gotten lost in his pocket! Now we learn of yet another “zero tolerance”, zero intelligence policy violation. This time in equally liberal Maryland. A five-year-old boy brought a “cowboy style Gun” fully loaded (with caps) to school. I was unable to discover what the guns clip size was. Maybe Bloomberg should hightail it to Maryland and find out. Anyway, the poor little kid (did I mention he is five!) was actually interrogated for two hours. The adults upset him so much he wet himself. Still no report of whether he was water boarded. The child’s mother said she had no problem with some consequence of his (her son) behavior. She didn’t appreciate the severity and had to get the family attorney involved. For a Cap Gun! Oh, by the way, he was suspended for 10 days, basically the balance of the school year. It is reported that the family was afraid the incident would become part of the kid’s permanent record. That’s what they’re afraid of? Not that the schools storm troopers traumatized the kid? These two incidents are just a couple of many like them and are just further proof of what we conspiracy theorists on the right have been warning of. These statists get our children at increasingly young age, now starting at the prekindergarten level, and drag them off to propaganda camps dressed up as schools. Once there, they are free to indoctrinate these little impressionable minds in the ways of statist rule. Rule number one: Speak, act and do as your government overlords tell you, for you are being watched and tracked (thanks to Common Core). Rule number two: Step out of line – get slapped down and reeducated. Rule number three: All guns are scary and should be owned or used by no one, except the ruling class and Hollywood. For everything else – see rule number one. I just hope these would be felons learned their lesson. Two things should jump out at you when reading this article. First: How few “Gun Control” laws have passed in the 79 years previous as opposed to the pitifully knee-jerk legislation that occurs today. Second: Of the seven previous pieces of legislation, only one is pro-gun and law abiding citizen and that was, of course, Reagan’s. The other six were signed by progressives, and yes, I include GHW Bush in that category. Over the years, there have been a number of laws introduced into the US. Senate and House that deal with gun control in some fashion. Not all of them have become law, but there have been some significant ones that have impacted us all and I believe violate the Second Amendment. My wife saw this graphic that listed seven major gun control laws that had become laws and forwarded it to me. I did a little research on who was president at the time and which political parties controlled the Senate and House. I found a very interesting trend that points a huge finger at the liberal Democratic Party starting back in 1934. *Ruled unconstitutional by US Supreme Court in 1995, when it was revised and passed. Sixty percent of high school and college students say they plan on owning guns at a later stage in life, an academic study from American University revealed on Monday. 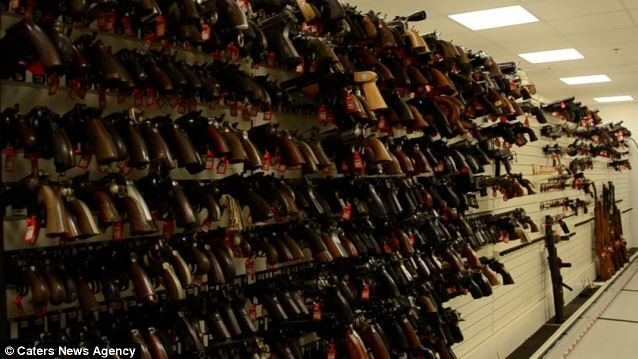 According to a brand new study, sixty percent of young Americans plan on purchasing firearms in the future. According to the study, about 40 percent of the American students surveyed said they definitely planned to own firearms once they had established their own households. Another 20 percent said they were “contemplating” owning guns.